FlyingFiber’s GYFXY unitube non-metallic non-armored cable provide 250μm fibers, are positioned in a loose tube made of a high modulus plastic. The tubes are filled with a water-resistant filling compound. Over the tube. water-blocking material is applied to keep the cable watertight. Two parallel Fiber Reinforced Plastics (FRP) are placed at the two side. 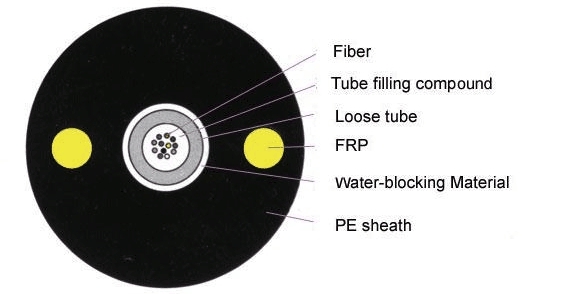 The cable is completed with a polyethylene(PE) sheath. 4). Two parallel FRPs ensure tensile strength. 8). 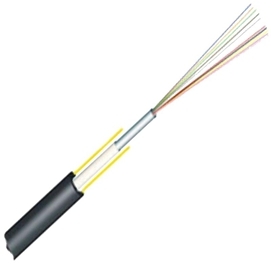 GYFXY cable complies with Standard YD/T 769-2003.